6' snap-lock metal, crush resistant, flexible dryer venting. One end with Sanp-lock male fitting and other end with Snap-lock female fitting for standard 4" openings. 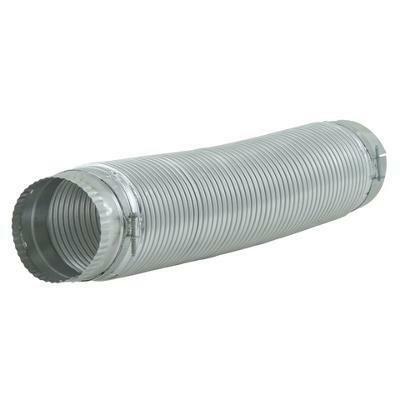 Best choice for fast installation with collars and for creating longer runs with other vent pipes. Additional Information -Two snap-lock fittings. -Standard 4-Inch diameter clamps needed for attachment to standard fittings. -Snap two or more pieces together to obtain needed lengths. -Metal, crush resistant, flexible dryer venting.